From Policy Review. October 13, 2011. Loyalty, like courage, chastity and other qualities associated with honor, is a pre-Enlightenment virtue, and, for that reason, there are many people today for whom it is no virtue at all. The Enlightenment was itself impossible until mere loyalty had been degraded, at least among the intellectual élites, to a species of primitivism by the new prestige of universal moral principles. People, that is, had to come to the point of realizing that there were higher goods than that of loyalty to the honor group — or to the family, clan, tribe, nation or religious affiliation that had always in the past produced the most salient honor groups. In many parts of the world, as we learned after 9/11, people have not realized that unto this day. But the question of our time is this: do these "higher loyalties" to abstract truth and morality and justice and equality simply abolish the other, more primitive sorts of loyalty to one’s own people or is there still a place for them in our enlightened and egalitarian world? Both honor and loyalty are opposed to the moral consensus of the Enlightenment not only because they routinely cut against and challenge those universal values on behalf of personal ties — ties which all but the most stern moralists among us are still too likely to find it easy to value above abstract principle — but also because they are not themselves susceptible to generalization or universalization. You can’t meaningfully talk about loyalty without specifying what you mean to be loyal (or disloyal) to. Every loyalty has its origins in the human and the particular: this rather than that; a rather than b and (often) love rather than duty. A loyalty that is universalizable would be a contradiction in terms. If you’re loyal to everybody, you’re loyal to nobody. From the enlightened point of view, therefore, every loyalty harbors within itself a potential disloyalty and especially a disloyalty to those general principles on which we of the age of Enlightenment rely to justify our disloyalties. Chief among these is of course the abstract concept of "the truth." I wish that the new book by the Wall Street Journal columnist Eric Felten titled Loyalty, The Vexing Virtue, though it is packed to its handsome covers with cogent examples, ancient and modern of this eternal tug-of-loyalties, had also taken the trouble to notice that the English word "truth" itself originally meant loyalty. Doing so would perhaps have helped Mr Felten to make the virtue just a little less vexing to himself and others. As trewth, trauthe or troth (the last still surviving as an archaism with "plight"), loyalty or fidelity was the normal meaning of the word throughout the Middle Ages, and it only began to be an unambiguous equivalent of the Latin veritas in the later 16th century. Trauthe is the normal Anglo-Saxon word for loyalty, dating back to well before the Norman Conquest, while the later French words loyal and loyaulté were rarities in the language before they began to take over the duties of trauthe in the 16th century. That we have so completely forgotten the original meaning of the word, and even made it antithetical to loyalty, is one indication that the idea of a higher loyalty to "truth," once an oxymoron, is now built into the language. 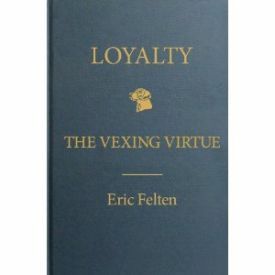 Some such historical note explains why loyalty is so vexing to those of us who, like Mr Felten, have been taught from earliest childhood that truth is or ought to be a higher loyalty than the organic and naturally formed loyalties to individuals and groups that are a normal part of life and especially of growing up. What mother today teaches her child, as General Douglas MacArthur’s mother taught him, that the rule of life was: "Never lie; never tattle"? That seemingly contradictory advice almost ended the general’s military career before it began when he was the victim of savage hazing at West Point and refused to name his persecutors. It was not the least of Stalin’s crimes against human nature when he tried to make heroes out of children who informed on their parents. And it was no small tribute to that nature that even the story of Comrade Pavlik, the 13-year-old Pavel Morozov who supposedly turned his father in to the GPU in 1932 as a resister to collectivization, was (as scholars now believe) a complete fabrication. For instance, the tension between our officially approved morality and the strong pull of unofficial attachments to individuals and groups we care about is responsible for a lot of the guilt that these days is such an important part of our public debate. Loyalty to country, which we call patriotism, is in bad odor on the left because it so often involves us in what idealists see as an assertion of national (or racial) superiority to our fellow creatures in other countries and an arrogant assertion of our power to dominate or subjugate them. Even when we are attacked as we were on 9/11, loyalty-skeptics have a free hand to require that our response should be moderated by international law and international organizations and alliances and based on general principles of law and justice rather than blind patriotism. No one must be allowed to suppose that we have placed loyalty to the United States ahead of loyalty to principle. Yet, carried to its logical conclusion, putting principle ahead of country would make it impossible to defend ourselves. Though President Bush was widely criticized for paying insufficient attention to such principle in going to war in Iraq, even he spent an inordinate amount of time and energy attempting to formulate a principled rationale for the invasion and subsequent occupation rather than simply asserting an American right to intervene. Likewise, President Obama, whose foreign policy once took as its starting point a more "humble" American approach to the rest of the world, now justifies his intervention in a Libyan civil war as necessary to prevent civilian casualties. In practice, arrogating to ourselves the right to defend general principles looks nearly indistinguishable from the arrogance of asserting American power wherever we please. Mr Felten’s range of reference, from Aristotle to Frank Sinatra, is impressive, but at times it seems slightly facile as the quotations and examples pile up without leading us anywhere, except to a restatement of what has already been said. They all relate to each other and to the point being made at the moment — which is nearly always some version of how loyalty is vexing and morally problematical in various ways — but it is often hard to see how they point beyond themselves to any larger conclusion about how we come to have such a dubious or devalued sense of loyalty or about the cultural consequences of living with one. If this excellent and tremendously learned book has a fault, it is that there is no overarching intellectual framework, especially a historical one, as a way of organizing its numerous examples. If it is not an impertinence in a reviewer, I would like to suggest one. It involves the growth of the media culture and the stake of the media in the devaluation of loyalty. For the media could no more live without the oxygen of disloyalty than they could without the promise of exposing those hypocrisies that lesser loyalties so often involve people in. The triumph of the media and the media culture is nowhere more evident than in the unfashionability of the virtue of loyalty. There are many reasons for this, of course, but none is more important than the fact that the media depend for their profitability and, indeed, their very existence on disloyalty. The "whistleblower" is the paradoxical hero of the media’s honor group — paradoxical because honor is extended by no other group to the betrayer of confidences. The "rat" or stool pigeon is typically despised as much by those he rats to as he is by those he rats on. But the media love him because they cannot do without him. reveals the growing influence of conspiratorial thinking on journalism. Numerous journalists have internalised the idea that what is really important today is not the story, but the story behind the story. The decline of the authority of knowledge has led to a situation where journalists now see leaks as the source of the ‘real truth’. Many journalists are now more comfortable explaining an event by reducing it to a covert plot rather than providing a rigorous analysis of the social and political causes of a chain of events. The amount of media attention given to the rival left and right conspiracy-theories of the "truthers" and the "birthers," absurd though both of them are, is one measure of the structural importance of secret information — and therefore of the disloyalty required to reveal it — in a political culture shaped by media assumptions. Not only does this way of looking at the world dominate the media’s thinking, it also creates an inexhaustible demand for more betrayals of confidence and a corresponding decline in the social valuation placed on loyalty. Politicians and bureaucrats are not the only ones who have worked out how to manipulate the media by preying on this assumption that the truth is something that is hidden and only to be revealed by skillful sleuthing on the part of journalists — which in turn depends on the acts of disloyalty by which they routinely acquire their information. Mr Felten would seem to be employing his considerable talents in a losing cause if his aim is, as it often seems to be, to rehabilitate the virtue of loyalty for an age which tends to see it as suspect if not downright corrupt in itself. Eminently sensible and fair-minded, he always gives full weight to the Enlightened arguments against loyalty even as he nudges us back towards an appreciation of a virtue too often neglected. Sometimes, indeed, he bends over too far backward to loyalty’s critics, as when he writes that Hitler’s and Stalin’s appeals to loyalty are such that "one hesitates to call it a virtue at all." But loyalty to both Hitler and Stalin was predicated upon previous acts of disloyalty. They demanded a place for the state ideology above those quotidian and organic loyalties to family and friends and their country’s traditional institutions which had to be abolished before they could come to power. The judges at Nuremberg thought Nazi war criminals had a higher loyalty than loyalty to the party, but the party itself had justified itself in similar terms vis-à-vis those ordinary human decencies it required its members to forsake. For there is no villainy so double-dyed that it cannot be claimed on its behalf to have been committed in the name of some "higher loyalty" than the one it has violated. The media have contributed much to the paradigm of the pull of the (discreditable) personal against the (creditable) principled which Mr Felten, in common with most of us, tends to regard as characteristic of moral dilemmas, but this is at least partly because we assume the priority of principle over personal ties of loyalty. 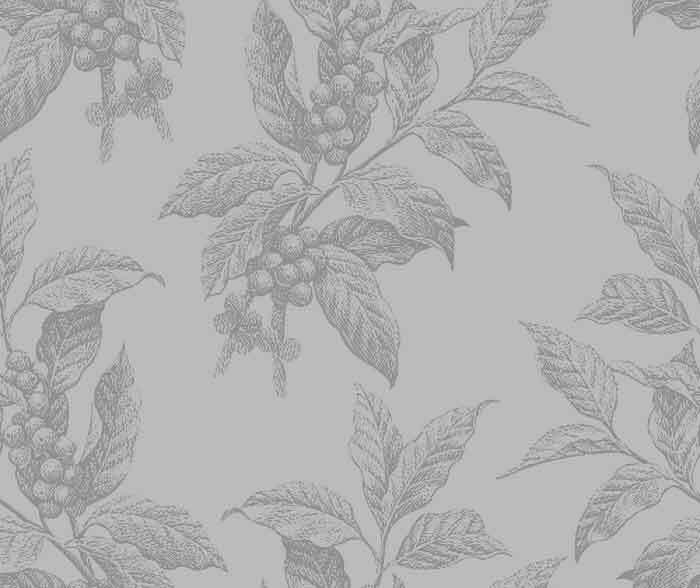 The Kantian categorical imperative, of course, demands no less, but this principle — which demands that we not act on that maxim which we cannot will to be universal — is often of limited use to us in our dealings with the real world. It would inculpate anyone who fights a war, for example, no matter how good the cause, although no one, apart from the pacifist fringe, would have us simply disarm. Emmanuel Levinas, in the reductio ad absurdum of Enlightenment thought, may tell us that our duty to strangers can be no less than our duty to loved ones, but no one, possibly not even Levinas, would behave as if this were true if called upon to rescue either strangers or loved ones from a burning building. Mr Felten has an interesting chapter about this kind of dilemma called "The Ever Ready Accomplices" in which he has a number of stories to tell of firemen, policemen, doctors and so forth with duties to a community who, nevertheless, attend to their own families first. "Family loyalty falls under the heading of particularism," he tells us, "which for many modern ethicists is a dirty word.". He himself appears to have some doubts as to whether these ethicists are right to depreciate family loyalty, but he is always pretty even-handed in presenting us with the pros and cons of family loyalty, citing both the family who defied doctor-decreed triage to get their elderly relative out of a New Orleans hospital during Hurricane Katrina and the former Delaware politician who asked for his family’s help in covering up the murder of his mistress or David Kaczynski who turned in his brother Theodore, the Unabomber, to police. "I think we can agree that David did the right thing, even though it was a betrayal of family loyalty," he writes. Perhaps we can, but perhaps we also need to hang on to at least the shadow of the stigma that David Kaczynski himself seems to have felt for his disloyalty when he tried to turn his brother in anonymously — and also to remember that Theodore was himself, like most terrorists, himself something of a theorist of disloyalty and full of talk about those "higher truths" that supposedly justified his hateful deeds. I think we can also agree that, although he gives every consideration to these and other arguments of loyalty’s Enlightened enemies, Mr Felten eventually comes out at the right place when he concludes that "without some reasonable expectation of loyalty where loyalty is due, there can be no trust, no friendship, no love."